(Natural News) Pancreatic cancer remains one of the deadliest and most difficult to treat of all cancers. Diagnosed in close to 30,000 men and 27,000 women each year, it results in around 24,000 deaths in males and 22,000 deaths in females annually. The five-year survival rate for this devastating type of cancer is only five percent. With such sobering statistics in mind, it becomes clear that the best way to beat pancreatic cancer is to prevent getting it in the first place. Some risk factors for this serious disease cannot be changed, but there are some which we can control. The American Cancer Society notes that smoking, obesity and environmental exposure to certain chemicals can all have a profound effect on the risk of developing pancreatic cancer. In addition, a meta-analysis of 25 peer-reviewed studies, published in the journal Medicine in 2018, found that increased consumption of vitamins D and B12 were associated with a decrease in pancreatic cancer risk of 25 and 27 percent, respectively. For their research, the scientists, led by Ying Liu, analyzed 25 studies with a combined total of 1,214,995 participants. Studies accepted for the analysis were sourced from the medical databases EMBASE, MEDLINE and the Cochrane Library, and included case-control investigations, randomized controlled trials, prospective studies and retrospective studies. Increased intake of vitamins A, B, C, D and E were included as part of the research. The researchers concluded that there was a direct correlation between increased intake of vitamins in general, but particularly of vitamins D and B12, and a decrease in pancreatic cancer risk. Interestingly, the more vitamins the participants took, the lower their risk became. [R]egular intake of vitamin D lowered pancreatic cancer risk by 25 percent. And, taking vitamin B12 daily in a dose of 10 mcg or more reduced pancreatic cancer risk by as much as 27 percent. The researchers believe this is due to vitamins helping to induce apoptosis (programmed cell death) and cell-cycle arrest in the cancer cells. 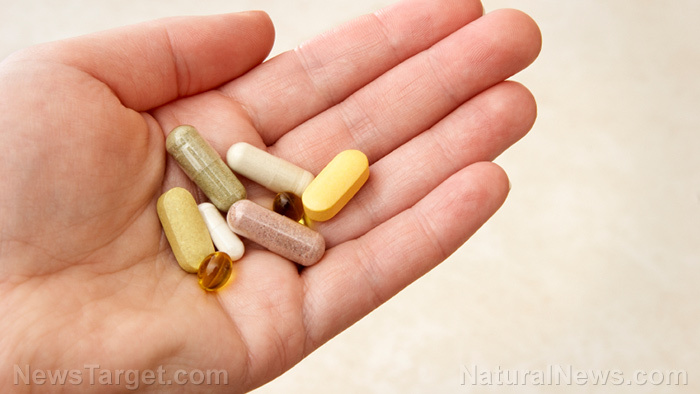 Of course, being obese, smoking, not being physically active and generally making other poor lifestyle choices can never be completely undone by taking supplements – not even the high quality vitamins and minerals which science has linked to a reduction in cancer risk. Ultimately, the importance of the right lifestyle choices cannot be overstated. A diet that mainly consists of unprocessed, non-GMO, organic fresh produce and hormone- and antibiotic-free meat, in conjunction with regular, moderate exercise, sufficient sleep and relaxation, and the maintenance of a healthy weight, will dramatically reduce the risk of many illnesses, including pancreatic and other forms of cancer. In addition to maintaining a generally healthy lifestyle, studies like the one referenced above stress the importance of supplementing with high-quality, bio-available vitamins and minerals to achieve and maintain optimal health. Previous :Is vitamin C the key to fighting pneumonia?